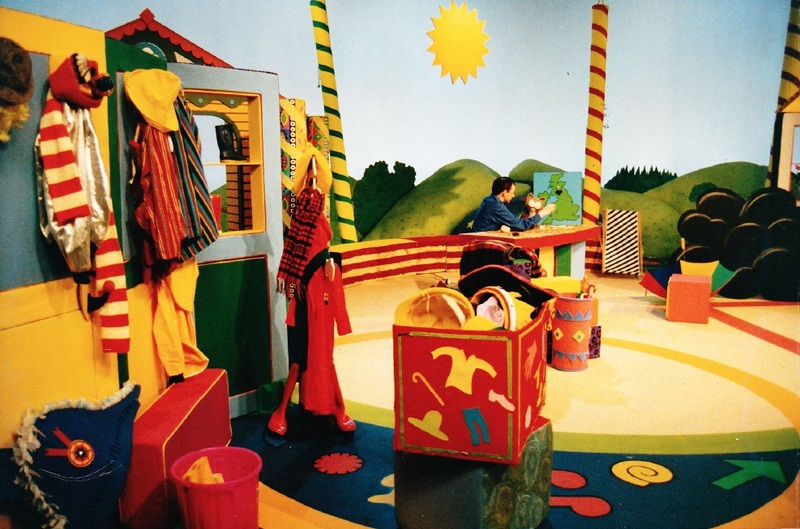 Shortly after starting Red Rhino in 1992ish, I was asked to refurbish the long running 'Playdays' set that for many series was recorded at Capital Studios, Wandsworth by Felgate Productions. 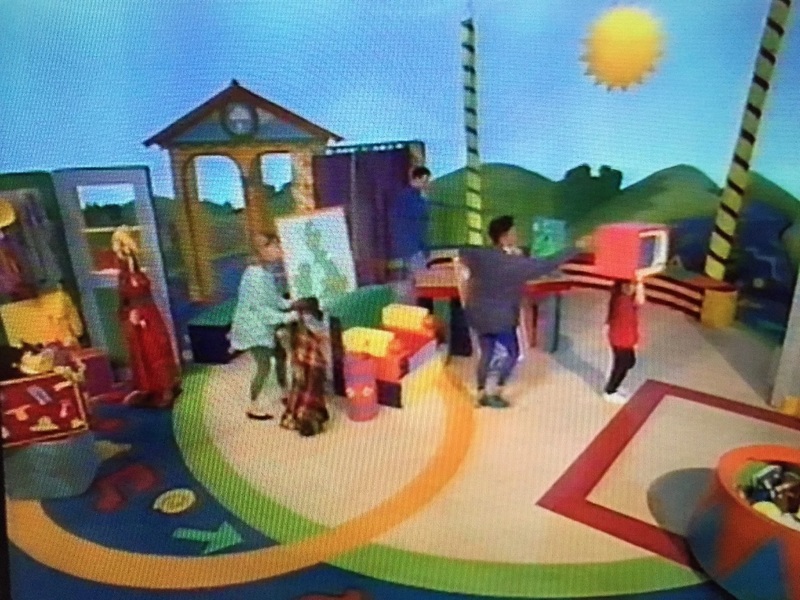 Playdays, as a series, tended to run in 4 sections : The 'Tent Stop', 'The Roundabout Stop' , 'The WhyBird stop' and 'The Playground stop' - each having their own designer to collate numerous wacky scripts for about £400 an episode ! - so budget & time management were key. It was an extremely busy show and really quite theatrical in content. My colleague Sue Nelson was designer on The Roundabout Stop. Producer Andrew Thomas. 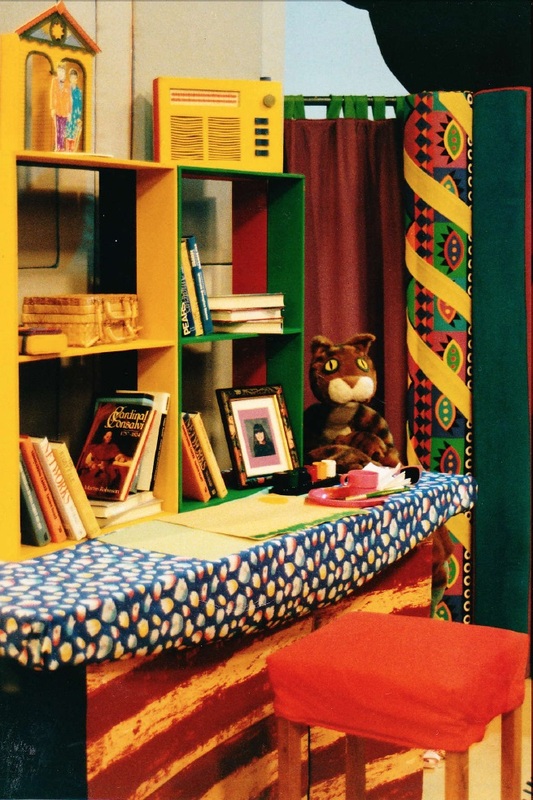 I was fortunate to design a lovely puppet character, Poppy the cat - seen here in the below picture that became a popular adjunct to the show, she was usually operated by presenter, Sue Monroe. The Tent Stop : Russell Crunch episode ! A screen grab showing 'setting up for the story' - about Weather in this case.